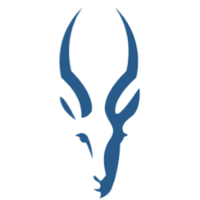 Impala is a modern, open source, MPP SQL query engine for Apache Hadoop. Impala is shipped by Cloudera, MapR, and Amazon. With Impala, you can query data, whether stored in HDFS or Apache HBase – including SELECT, JOIN, and aggregate functions – in real time. Pachyderm is an open source MapReduce engine that uses Docker containers for distributed computations. Why do developers choose Presto? Why do you like Presto? Why do developers choose Impala? Why do you like Impala? Why do developers choose Pachyderm? Why do you like Pachyderm? What are the cons of using Presto? What are the cons of using Impala? What are the cons of using Pachyderm? What tools integrate with Presto? What tools integrate with Impala? What tools integrate with Pachyderm? What are some alternatives to Presto, Impala, and Pachyderm?